Deadmau5 will headline a post-Grammy benefit at the House of Blues on Sunset Blvd. on February 10th. Also featuring Crookers, Nero and other acts to be named, the event will benefit the Children's Orthopaedic Center at Children's Hospital Los Angeles. The event is hosted by Three Six Zero Group and Roc Nation. 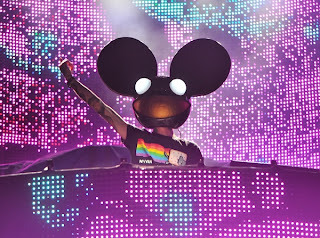 Last year's inaugural event featured Rihanna, Deadmau5 and Calvin Harris and was noted as one of Grammy night's biggest after parties. The benefit raised $150,000 for children with disfiguring disorders, birth defects and injuries.